oemwholesalewh has no other items for sale. Sales tax may apply when shipping to: IA*, MN*, NJ (6.625%), WA*. Great product & fast shipping! The bag / case was greasy though, which was odd. high quality product - fast shipment - great! Pleasure to trade with, thank you! Helimax-XP is known among technicians as one of the best lubricants for helicoid drives, for its performance and superior stability. Used for restoring older manual-focus photographic lenses, this means the lens would stay operational for much longer without the danger of the lighter oils leaking from it and fouling the mechanics, evaporation causing oil stains on the glass surfaces, or the lubricant drying up causing the mechanism to freeze up. Recommended unreservedly. Very easy to apply, gives very smooth focusing with proper resistance. Great product for maintaining your lenses. 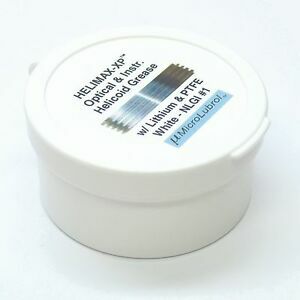 Great grease for old lenses or the contemporary ones in need of grease. Highly recommended!